The EU referendum may have ramped up tensions around the issue of migration, but it is only pushing the limits of an already hostile political climate. 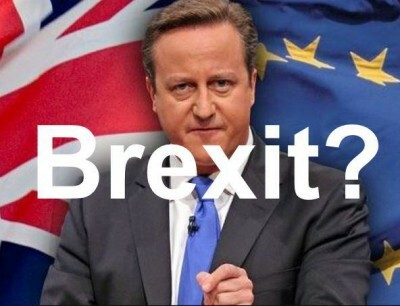 The British public are not voting on whether to leave the EU on Thursday. That might be what it says on the ballot paper, but that isn’t the decision we are making. Since the official “leave” campaign launched, the level of xenophobia and imperialistic self-righteousness it has indulged in has changed the question completely. The fault line in the EU referendum is now the issue of immigration, and so on Thursday the British public will really be answering a moral question of how we want to treat people who have moved to the U.K. from abroad—indeed, whether we should even regard those people as human. That is the political reality here. The nadir of the cesspool of discourse that has opened up around the EU referendum came last Thursday, when key “leave” advocate Nigel Farage—leader of the hard right political party UKIP—unveiled a poster apparently depicting a queue of immigrants coming to the U.K. underneath the slogan “Breaking point.” The picture, which was actually a photograph of Syrian refugees making their way towards Slovenia, bore a striking resemblance to a Nazi propaganda film in the 1930s which purported to show a queue of refugees walking to Germany. How did Britain, a country whose national mythology rests heavily on its role in defeating 20th Century fascism, get here? The answer cannot be boiled down to a few months of campaigning on the specific issue of the EU. The number of British people who say that the impact of immigration has been “very bad” has almost doubled from 11 to 21 percent in the last decade. Most mainstream politicians and a huge chunk of the media have stoked these feelings of resentment. From the last Labour leadership promising controls on immigration (and trumpeting this promise so loudly that it was featured on Labour Party merchandise) to the tabloid press scaremongering about lazy eastern European families coming to Britain to claim benefits, and the current Conservative Prime Minister warning of “swarms” of people, the rhetoric of the “leave” campaign should be understood as merely a distillation of the general political rhetoric that the British electorate have been receiving for at least a decade. The EU referendum may have ramped up tensions around the issue of migration, but it is only pushing the limits of an already hostile political climate. This has not come out of nowhere. Regardless of the outcome on Thursday (although I would suggest anyone who does not want to hand more power to the likes of Nigel Farage should vote remain), the question the British establishment should be asking itself now is how to close the Pandora’s Box that has been opened. One way it could do this is to have honest and difficult conversations about its own failures; its refusal to respond to the financial crisis of 2008 and the ongoing impact of that, its inability to deal with the problems facing ordinary people’s lives, and its propensity to deflect blame from itself onto those who can easily be depicted as outsiders. This has come both in the form of the right cynically manipulating people’s fears, and the liberal left (if the Labour Party of the past 20 years could even be called that) refusing to take a definitive position for fear of turning off voters. These factors have caused many in the electorate to search outside the establishment for answers, and with British socialism significantly weakened by harsh trade union laws, the incompetence of the left, and marginalization in Parliament, the hard right has been waiting to welcome new supporters with easy solutions and seductive promises. Indeed, the most frightening element of the “leave” campaign is just not the repugnant arguments it has been making in the public sphere, but that these arguments actually seem to be working for a significant number of people. Polls over the weekend suggest “remain” is edging ahead, but even so—the result is likely to be a dead heat. Nobody can reasonably say that a vote to remain means there is not a problem. The sentiments the referendum has whipped up will not simply dissolve once the campaign is over. There are too many people in British politics who cannot absolve themselves of complacency over this issue, including myself. Despite being someone who has publicly defended freedom of movement, even I hadn’t realised how deep-rooted xenophobia was becoming in my own country. For now, the best we can do is hope that the result on Thursday is not used by the hard right to implement its political program through the back door. After that, a post-mortem must begin, and the entire political class must take part. It’s been a long time coming. Ellie Mae O’Hagan is regular columnist for a range of U.K. outlets writing mainly on worker’s rights unions, activism, feminism and Latin America. She tweets @MissEllieMae.